Menopause is a major life change that every middle-aged woman will go through. The hormonal changes can trigger a number of uncomfortable symptoms. These include hot flashes, fatigue, vaginal dryness, weight gain, loss of libido and irritability. Unfortunately, the above-mentioned symptoms can make daily life quite difficult. That being said, the use of essential oils can provide more natural relief for menopausal symptoms. One particular theory on the effectiveness of essential oils is due to their content of phytoestrogens (plant-based estrogen). In the case that you’re looking for an alternative solution that can alleviate menopausal symptoms, read on. If you ask any woman to name one menopausal symptom, most of them will immediately say hot flashes. These are sudden and quick heat sensations that surge through the bodies of menopausal women. By rubbing a few diluted drops of clary sage oil across the back of your neck, you’ll be able to ease your heated discomfort. Another concerning aspect of menopause is the heightened risk for osteoporosis due to the body’s decline of estrogen. According to a study published in the journal Bone, clary sage out can help to protect your health by alleviating any pain or discomfort. Menopause can be emotionally draining, thus mood swings and depression are common. According to a study published in the Zahedan Journal of Research in Medical Sciences, geranium oil can help to boost the mood as well as alleviate feelings of depression in 120 menopausal women. Menopause cements the end of the menstrual cycle. Unfortunately for some women, menopause does often come with menstrual symptoms. Dysmenorrhea refers to menstruation-related cramping that occurs during the early stages of menopause. 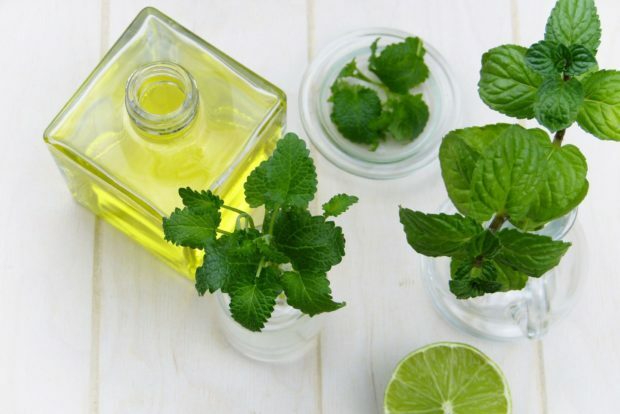 Thankfully, peppermint oil may help to alleviate some of the pain associated with dysmenorrhea (1). Menopause may be something that a woman goes through but some symptoms may also affect her other relationships. One symptom, in particular, is the loss of libido. Thankfully, this oil has been proven to help increase one’s desire for sexual intimacy as well as lower high blood pressure (2). 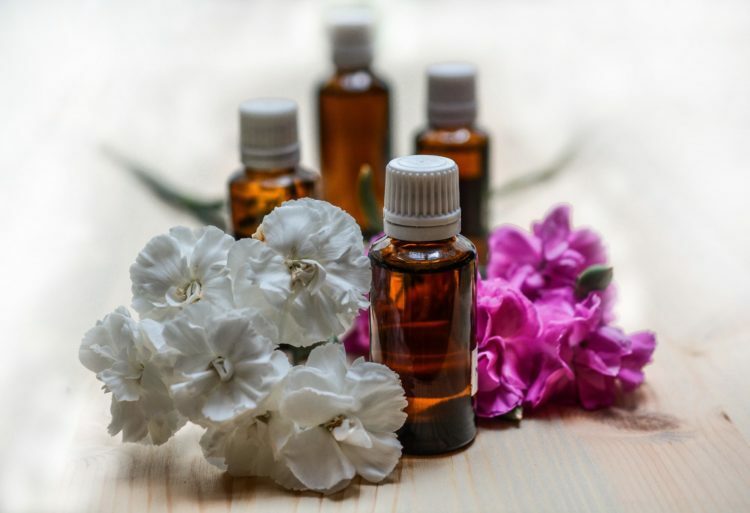 If you are looking to use essential oils for your menopausal symptoms, you can either dilute them with a carrier oil or even use them in massage. In fact, menopausal women have said that the use of essential oils in a massage can help to ease symptoms (3). 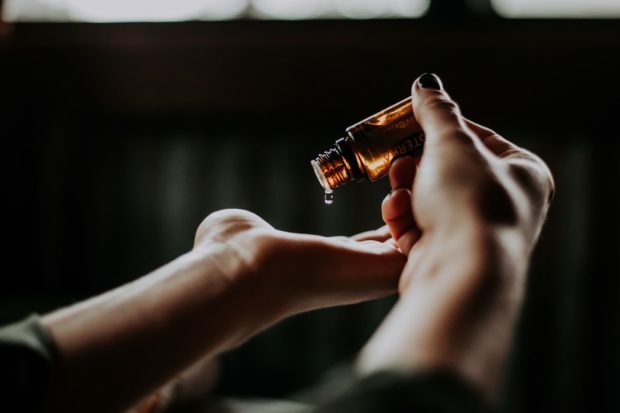 While essential oils can be used to manage menopausal symptoms, other lifestyle remedies such as diet can also do the same. Click here to find out which foods can help to ease menopausal symptoms.